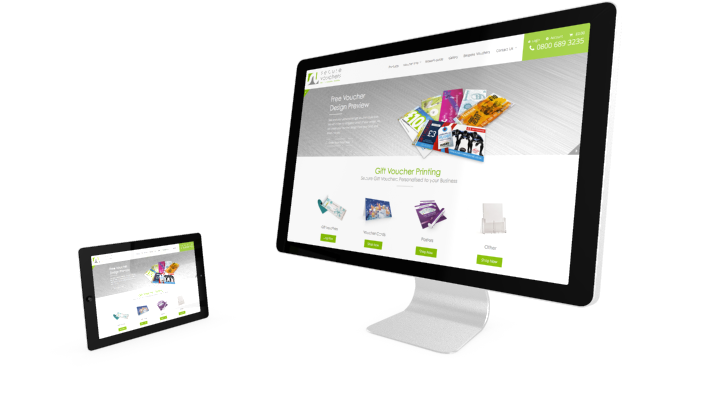 Gift Voucher Printing Company, Secure Vouchers, have undergone a complete rebrand and launched a brand new website for their gift voucher printing product. The new website is designed to be much easier to use, and allows our customers to complete far more tasks online if they wish. There are many things to consider when printing gift vouchers, and it can be daunting for those looking to print gift vouchers for the first time. The advances in web technology over the years has enabled us to produce a far more dynamic website, which is easier to use and provides all the information you could possibly want to know about printing gift vouchers. One of the biggest changes is the introduction of online proofing, so customers can log in and view a complete history of all of their gift voucher design proofs, before they approve the artwork and complete their order. This eliminates the issues that can often be caused by sending artwork files via email. All completed orders placed on the new site will now be available to view at any time, making reordering far easier for our customers with full records of their voucher numbering. As well as a brand new website, we have also created a whole suite of new design templates so customers can create a unique personalised gift voucher design at no additional cost, even if they have no corporate branding or design resources of their own. We hope that the changes will be welcomed by our existing customers, and that new customers will be able to take advantage of all of the benefits that gift vouchers have to offer their business. Our new gallery of customer gift vouchers demonstrates how your own personalised gift vouchers can promote your brand, and will hopefully give you some great design ideas.